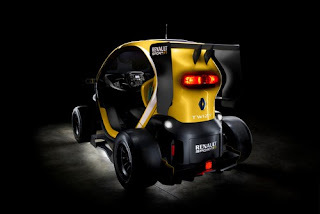 Renault made their super-duper announcement about "when the worlds of Formula 1 and electric cars meet," and, no, it wasn't about Renault joining the Formula E. Instead it's the most unlikely thing you could expect. 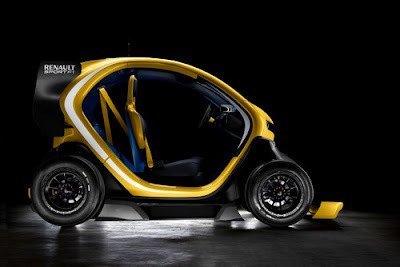 They've souped up a Renault Twizy with Formula 1 racing components, including a KERS system that puts the Twizy on steroids. Yes, a Twizy. I checked, the date is not April 1. 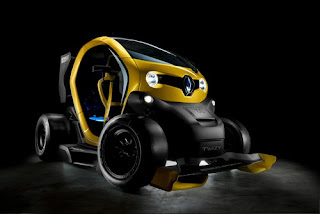 The regular Renault Twizy has a 13 kilowatt (17 horsepower) electric motor, and a top speed of around 50 miles/hr. 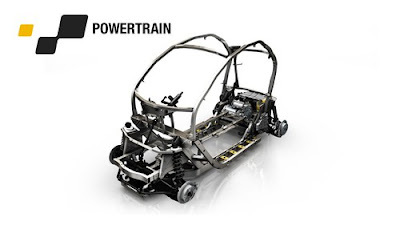 Seems like the last sort of vehicle you'd soup up with that kind of technology. It so happened that members of Renault's KERS team also helped to develop the Twizy's electric drive train. 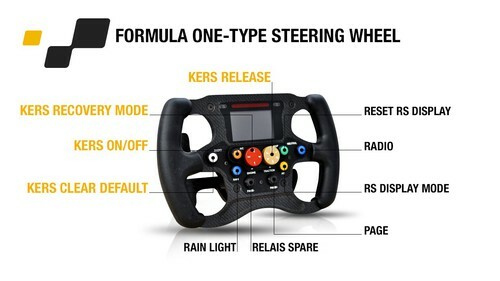 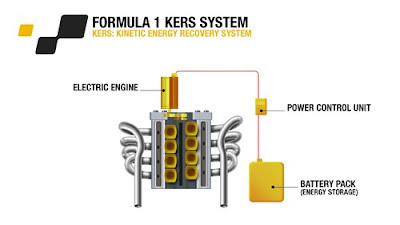 That gave Renault's marketing department the idea of using the F1 KERS system, which has an electric motor-generator unit in its heart, in an all electric car. 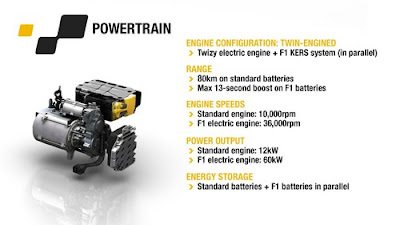 Renault's engineers linked a KERS unit to the Twizy's drive shaft. When the driver activates the KERS system it boosts the power level to 72 kilowatts (97 horsepower), adding 80 horsepower, and raising the top speed to nearly 70 miles/hr. 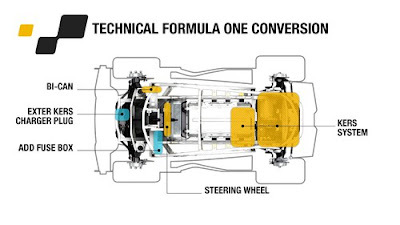 So much for the Formula E idea.